Our vision for our children’s ministry at St Nicholas’ is that all our groups, activities and services should be fun and friendly places where we can discover more about God and what it means to follow Him. We do this in many different ways and you can find out more about everything that happens for children, young people and families below. Most of our families with children attend our 10am service at which we provide activities and facilities for babies and children. On the first Sunday of each month we have a special Family service. We include a high degree of participation and aim to keep this to 45 minutes. Baptisms and Thanksgivings usually take place during these services. 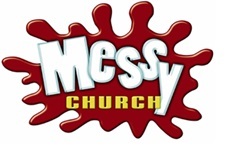 Messy Church is a church for families at a time when it is a bit easier for them to come. We meet twice a term and start with a variety of craft activities all based on a theme or bible story. It often gets a bit messy! 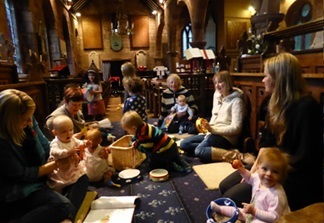 We then have messy worship, where we sing songs, join in a story and pray. Finally we all share a meal together. Little Stars is a praise and play-time for babies, toddlers and preschool children with their mums, dads, grandparents or carers. We have “Special Time” during our session where we sit up by the choir stalls and have a story and sing songs and play instruments. We have a very special candle which each child takes a turn at blowing out at the end of this session. All Stars is a “Sunday School” programme for primary school age children during Morning Worship services. The teaching involves craft, games and activities to explore the bible concepts. 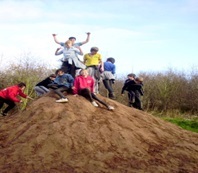 TBY is a church youth group for young people in school years 7-10. Together we have fun, socialise and explore our faith and relationship with God. We are a church group so our faith is very important to us. We follow the Chester Diocesan Guidelines for Child Safeguarding. Everyone who works with children is cleared to do so by the Disclosure and Barring Service (DBS), or the previous system of Criminal Records Bureau (CRB). If you would like to raise any issue about child safeguarding please contact our Child Safeguarding Officer, Jessica Mackie. 0151 538 5628.